I was so hesitated to watch “The Man in the High Castle” TV series, but boy I’m glad that I did a binge watch of it. I got through the whole first season without missing a single minute of it. I have to say the series is very enjoyable. How come? Even though the series is flipping history on its head, I must say the series is awesome in a way in which you may want to hang onto every minute of the series. Spoiler is ahead, and so you should not read on if you think you want to watch this series for yourself. I must admit, Juliana Crain is very pretty, but her prettiness doesn’t affect her character as if she is a weak flower that needs to be protected from the elements. She is headstrong with a golden heart in which doesn’t destroy her feminine side as if a female wanna be male sort of things. In the first episode, she shows that even though she is a woman, she can handle a man in a combat. If I’m not wrong on the martial art style she has been practicing, Akido allows her to defend herself against stronger men. Don’t let her macho side put you off if you’re one of those guys who hates to see how a female can easily beat up a male character in movies, because this side of her isn’t telling her whole story. Besides of wanting to be loved by Frank and possibly by Joe, she is a strong woman who wants to seek out other possibilities that may present to her by chances and luck. The world she lives in, her people are being treated as second class, because the area — she lives in — is being controlled by the imperialistic Japan; imperialistic Japan empire fought on the Nazi side and won WWII. She reluctantly joins the resistance when she witnesses her sister got shot by the imperialistic Japanese. Although Alexa Davalos’s performance as Juliana Crain is not Oscar worthy, but I think in season one she executes her role as Juliana Crain quite brilliantly. Basically, she is believable in her role. Frank Frink is Juliana Crain’s boyfriend. The series’ trademark is about flipping history on its head, but a closer look would probably have you think that Frank Frink is rather a feminine character. So, the series got Frank Frink as a male character who wants to live under the imperialistic regimes peacefully, because life is precious. As the Japanese authorities seek out Juliana, they have Frank Frink in custody. During the confinement, they torture Frank Frink. When Frank Frink refuses to give up Juliana’s whereabout, the imperialistic Japanese authorities kill his sister and nephews. When the Japanese authorities finally think that Juliana Crain hasn’t got what they are after anymore, they release Frank Frink. By the time Frank Frink got his release, his sister and nephews were already being killed. No longer a mister nice guy, Frank Frink feels the rage that he has never ever felt before from within him. Frank Frink decides that he needs to kill the crown prince of the imperialistic Japanese empire for a payback. Nonetheless, things don’t always go as plan for him. Joe Blake is one handsome Nazi, but he got a heart of gold. Although he is a Nazi who goes undercover as a resistance member, he loves Juliana Crain. Meeting Juliana Crain helps Joe Blake changes his mind about many things. From being devoted Nazi, Joe Blake wants to protect Juliana Crain, but his boss isn’t going to let him do anything like that. He tries hard to protect Juliana Crain, but things can only get more insane from here. As the story unfolds, Joe Blake is sort of a double agent, but in the end he wants to help Juliana Crain, himself, and possibly the world. He has a heart of gold, but can he really help everyone in the end? Season one isn’t revealing how Joe Blake will be able to save Juliana Crain, himself, and the world just yet. It seems that he may still have to be working for both sides (i.e., Nazi and resistance) in season two. Besides the main characters, the supporting characters are believable in their roles. Basically, the actors and actresses in the series are believable, thus pulling you into this alternate world of theirs. The costumes and sceneries are all very believable and nicely done. I don’t know how much money they had poured into making the season one of this series, but the series got all these excellent qualities that make you want to watch every episode of the season one. I’m not sure how awesome the season two will be, but I know I like the season one a lot. As I’m writing this review/spoiler now, the season two isn’t yet available on Amazon. In summary, I think the show is awesome, because it turns a well known, decades old historic moment into an alternate version without being dull and boring. The show has excellent cast members, interesting storyline, great stage setups, and so on and so on. I’ve a feeling that if you watch this series you might not be able to skip a single minute of it. Lately, I’ve gotten a fever for Korean drama shows. It’s even better that I can watch many of these shows on Netflix. 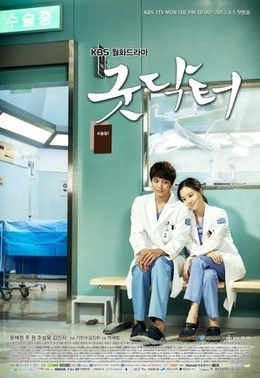 Just recently, I’ve finished watching Good Doctor. Although there are 20 episodes for this long show, and yet I feel this show needs a second season. It’s that good, and it touches my heart. Good Doctor is about a savant doctor who can picture objects and ideas in three dimensional planes. Through perseverance and bravery, Park Shi On endures his personal struggles as a savant just so he can become a good surgeon. By struggling to function as a normal person, Shi On touches the people around him wherever he goes. Although I can definitely go way deeper in revealing everything about this show on this blog post, but doing this will spoil the show for whoever has yet to watch the show. Anyhow, I think besides well written, coherent storyline, Good Doctor’s surgeon moments are realistic, thus making the show even more believable and enjoying. Basically, the surgeries take places in the show are not overly dramatic but realistic. A new game? According to Wikipedia, The Legend of Korra is an American animated sequel to Avatar: The Last Airbender, and I know only that much about The Legend of Korra the TV show. I’d watched the whole animated Avatar: The Last Airbender TV show before, and so I’m surprised at myself of not knowing anything about The Legend of Korra. Amazingly, The Legend of Korra, the video game, will come out in October 22, 2014 for video game consoles and PC. From the first look of the arts, The Legend of Korra video game is surprising familiar, because in my opinion it does look similar to Naruto Shippuden video game series (the latest is Naruto Shippuden Ultimate Ninja Storm Revolution). Regardless of the game arts, I’m more interested in the gameplay and the story of The Legend of Korra. Can’t wait for it to be released. Anyhow, take a first look at the Legend of Korra video game right after the break. Enjoy!!! Tech and gaming communities are buzzing with excitements on Microsoft Xbox Live’s new update which will be released by tomorrow. It is being reported that Microsoft’s new Xbox Live will have enhanced voice control, Bing integration, mobile app for Windows Phone to act as enhanced remote control, and new contents. It sounds great and all, but I think there is a but for me. The but is about how Xbox users have to pay $60 annual fee for Gold Membership. Without Gold Membership, Xbox users cannot even watch Netflix which they have already paid for anyhow. Playstation 3 is different in this regard as in how Playstation users can watch Netflix through Playstation 3 without needing to pay anything. In the end, as I do not care to purchase or waste a $60 for a Gold Membership, I think Xbox users who are in the same boat as me will excite little over the new Xbox Live. Remember, even right after you pay for $60 Gold Membership, you still have to pay for Netflix, Hulu Plus, Verizon FiOS, and others before you can actually get to enjoy the contents. The reasons for people to cut TV cord is not that they only want TV on demand, but they are interested in cost cutting, enjoying better TV experience, and then cost cutting. I think Xbox Live has to rethink on how to help Xbox users save costs without sacrificing great contents, otherwise I think just subscribing to one awesome service such as Netlfix and stream it over computers will be just as great. Gizmodo reports that Microsoft’s Xbox Live “Metro” will go live when this holiday season comes around. 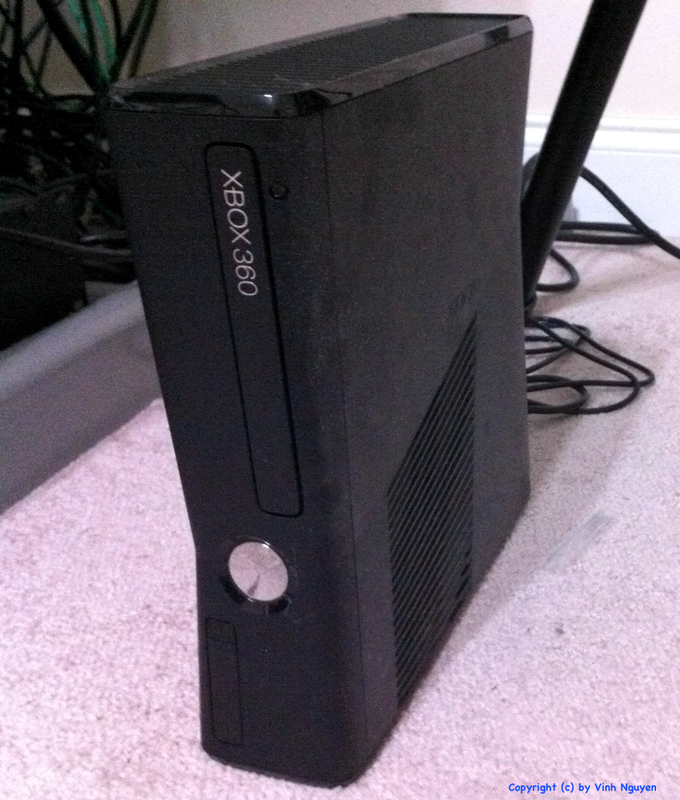 It seems that Xbox Live “Metro” users will be able to use their Xbox 360 consoles as Cable and Video on Demand boxes. Folks at Microsoft are suggesting that they are talking to more content providers so Xbox 360 users will be able to experience more contents such as live TV shows and movies. Upon improving contents, Microsoft enhances Kinect features within Xbox Live “Metro” to allow users to control almost all aspects of Xbox 360 with voice recognition and hand gestures. Bing will also integrate tightly with Kinect features within Xbox Live “Metro” so users can use voice recognition to search for things. New features that Microsoft will release for Xbox Live “Metro” are definitely going to be awesome for Xbox users. I totally vote for them! Nonetheless, I think Microsoft has a narrow vision. Why? Besides Xbox 360, shouldn’t Microsoft allow users to experience live TV shows and Video on Demand and Kinect capabilities on Windows 7 or 8 and Windows Phone 7? Unfortunately, I think Microsoft prefers to sell more Xbox 360 consoles at the same time they generating revenues from contents that Xbox Live “Metro” provides. Whether that be more profitable or otherwise, I’ve no idea. Still, I think more users will appreciate Microsoft if they provide such experiences on not one but more platforms. I also think Microsoft will be able to sell more products such as Windows 8 OS if awesome features on Xbox Live “Metro” become available in Windows 8 and other Microsoft’s products/platforms. If such vision is going to be realized, I think Microsoft needs to tightly synch the Xbox Live “Metro” features across products’ ecosystem. For an instance, a user watched halfway of a movie on Xbox 360 console, but he got on his Windows 8 laptop to work and yet was able to watch the rest of the movie that he had watched on the Xbox 360 console earlier. More features like that will make Microsoft’s product ecosystem seems coherent, enhancing the overall user experiences. What do you think?